Grey hat SEO is a practice of Search Engine Practice or briefly SEO. Like all the other SEO processes, grey hat SEO also aims at getting a better ranking in search engine result pages. For a better ranking of a website in search engines, SEO is needed. SEO is basically the collection of all such tactics and techniques. 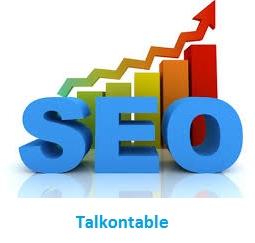 The main purpose of a website to achieve higher rank in the search engine is simply to be more visible. The more visible websites, comparatively, is more trusted by users. More visible websites are trustworthy and bring good business. Further, SEO can be branched into three major classifications white hat SEO, grey hat SEO, and black hat SEO. Whereas the differences between white hat SEO and black hat SEO are very palpable, the grey hat is rather difficult to define. It is noteworthy that grey hat SEO is believed to be riskier than white hat SEO. Grey hat SEO can be termed as the practices and strategies that are ethically dubious in nature. It should be noted that grey hat strategies and techniques require a periodical revision. The logic behind that is that what may appear to be technically ethical in the current year might change to black or white hat SEO. The practice of exhibiting a disparate result than what it does the search engine. Cloaking is usually done by altering Meta information so that it does not display the content and meddling with the IP address of a site. The old domains that were discarded or are not used by the owners can be purchased. Sometimes, such old domains tend to be authoritative and the links appear to be of a good quality. Such domains are often utilized to create backlinks. These backlinks further help in improving rankings. One of the vital components of SEO is the content. Duplicating the content can be done with the help of tools such as text spinners. There are free online text spinners as well as paid text spinners available. Purchasing links are the riskiest measure of grey hat SEO. This is risky because it is illegal and also subject to penalty. However, the listing of the site on relevant industry directories is approved. Also technically, links can be exchanged for sponsorship of an event or events. Buying followers are not always fruitful. Sometimes buying followers results in infecting followers with malware in some cases. However, there are tools that can follow automatically and unfollow multiple social media users. This particular practice is a not blacklisted by Google yet. There are organizations that use grey hat techniques and strategies. The web is greatly competitive. The grey hat SEO is presumed to fetch short term advantages but is not suitable for long-term goals. Woah! I only knew about black and white hat techniques. I got my business website promoted with the help of a very nice seo consulting Los Angeles that used white hat and aesthetic techniques. I am very much satisfied with their service and I have seen tremendous growth in my business.